NRC completed an impacted soil remediation project at a former facility site requiring the excavation of soil contaminated with light separate hydrocarbons (SPH). 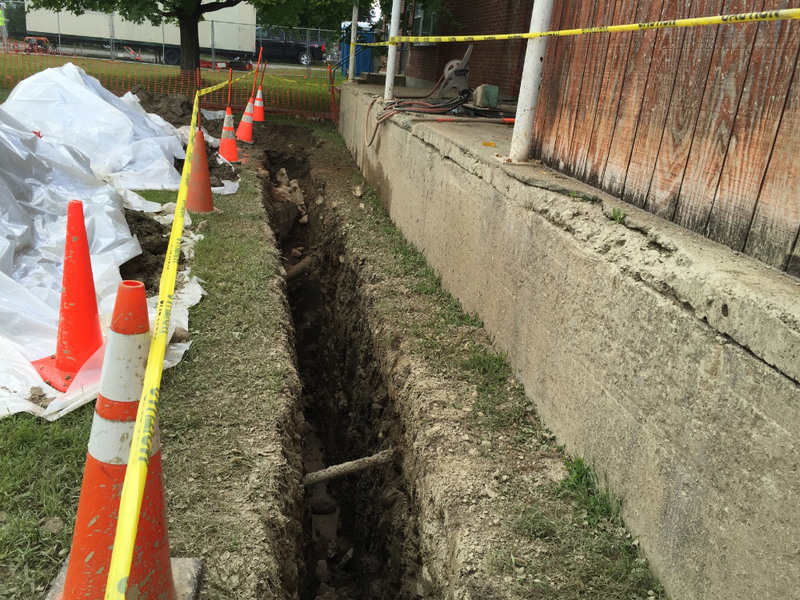 Prior to performing the shoring installation, NRC performed baseline monitoring surveys for 1 commercial building on site and 2 residential properties adjacent to the site. 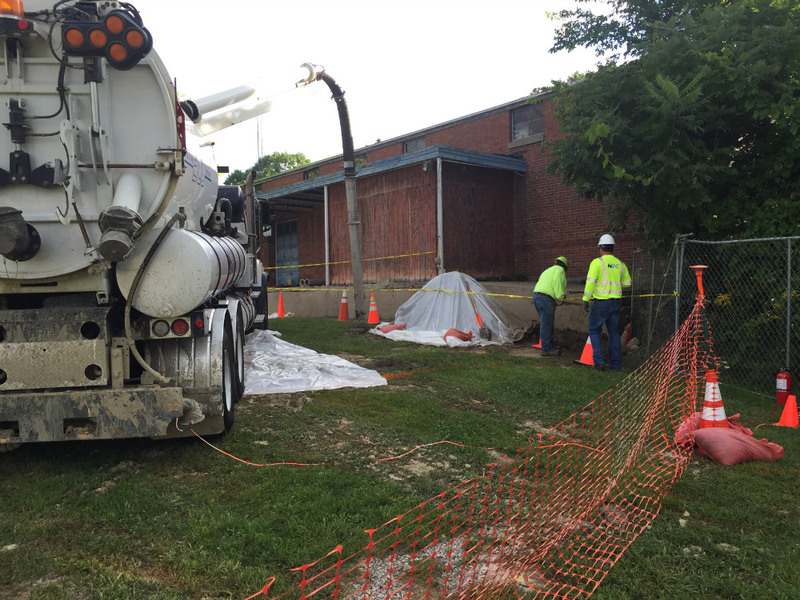 NRC utilized a wet/dry vacuum truck and air knife to remove soil from 0-8 feet below grade surface in support of protecting existing utilities. Next, NRC installed a multi-cell, steel sheet pile excavation support system to support excavations ranging from 25 to 30 feet below grade (fbg). Impacted soil was live loaded by NRC into trucks to transport the waste for off-site disposal. Soil that was too saturated was temporarily stockpiled and dewatered and/or stabilized using lime dust. Up to 40,000 gallons was collected and stored along with waste water (from decontamination activities) in a 21,000 frac tank before being transported off-site via vacuum tanker and disposed of at a permitted disposal facility. During the excavation services, NRC transported and disposed of approximately 11,000 tons of petroleum impacted soil. Following the excavation services, NRC imported and placed crushed stone and gravel fill material into each excavation cell. NRC then placed and compacted the previously excavated clean soil and filled the excavations to the existing ground surface. 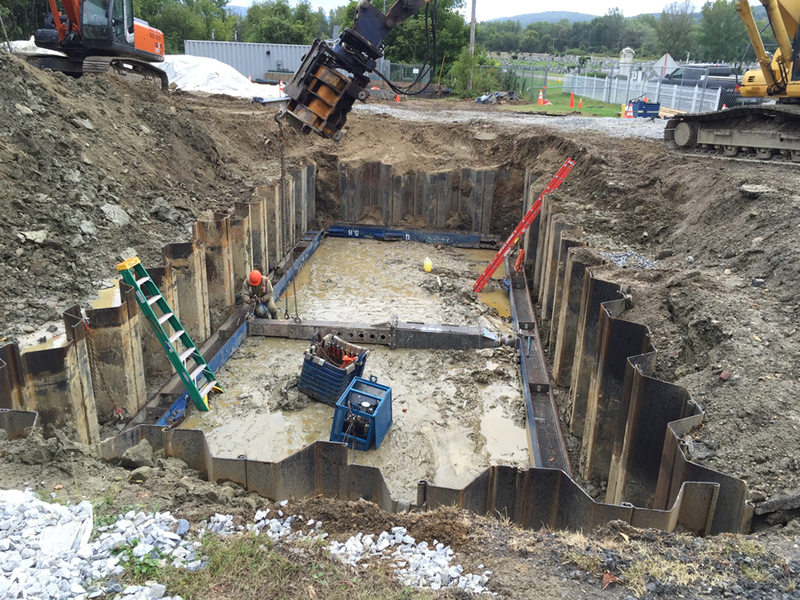 During backfilling activities, up to twelve (12) 4” diameter monitoring wells were installed within the excavation area. After excavation and backfilling activities were completed, NRC restored the site to pre-existing conditions prior to demobilization. Vacuum truck and air knife excavation to 8 fbg. Multi-cell sheet pile excavation support system to 30 fbg. Transportation and disposal of approximately 11,000 tons of petroleum impacted soil. Soil stabilization using lime dust. 40,000 gallons of groundwater and waste water temporarily stored and transported off-site for disposal.